Dastan released in the year 1950 is a tragic melodrama told in flashback. The film was a box office success and was one of the highest earning films of that year. Directed by Abdul Rashid Kardar, the film depicts life in an aristocratic family before and after the colonial era. 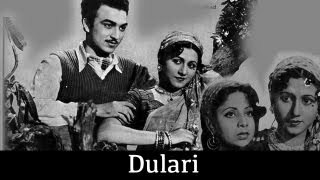 The story pivots around an orphan Indira (played by Suraiya) and her relationship with the siblings Rani (Veena), Raj (Raj Kapoor), and Kundan (Al Nasir). The film was a musical hit with some enticing melodies rendered by Suraiya. Music was composed by Naushad.